Established in 1972, the Landmark Society collects, preserves, exhibits and interprets historical elements of our community's unique heritage. That mouthful of mission supports an educational effort to enlighten and entertain the public, so it's natural that our volunteers operate in discovery mode. Garland is a special place to live and work, and it's important to understand what made it that way. Here volunteers plan and work on projects, including displays, as well as the fundraising required to carry them out. Unless adjusted to dodge holidays, board meetings and work sessions are held here at 7 PM on the first Monday evening of each month. Since regular museum opening hours are restricted by the availability of volunteers, we also make occasional off-site presentations. Members receive On Track, our quarterly newsletter containing features and updates of historical interest. They also receive our annual historical fundraising calendar, which highlights vintage photos and significant dates from the city's past. And since 2006, this website has provided 24-7 online access to a expanding menu of local history postings. Responses confirm that Landmark's growing site has become a regular reference archive for individuals and commercial interests alike. Stay tuned. 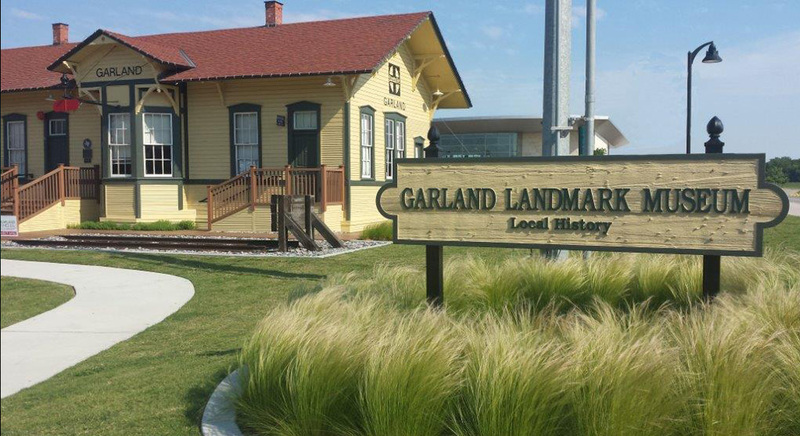 The Garland Landmark Society has always operated without either employees or an annual operating budget from the city. Nothing happens without members, volunteers and other donors of time and treasure. These supporters share an appreciation and pride in Garland's past; they're good people to know. The text illuminates writings of Kate James, a settler who arrived with her family by wagon in 1855. In most ways representative of the local norm, that family included a budding historian who recorded her lifetime of observations with monographs about friends, family and activities in the neighborhood of present Garland, Texas. Sketches offers more than genealogies of Garland’s old families. Expanding from excerpts published in The Garland News during 1927, its 160 pages illuminate life throughout Kate’s neighborhood as it developed from the 19th to the 20th century. Annotated, illustrated and indexed are recollections of education, religion, recreation, crime, farming, home building and the folks involved. Even mortuary practices are detailed. And the Civil War erupts in the middle of it all. Through Kate’s Sketches today’s reader can almost join her experience of life in the early days. 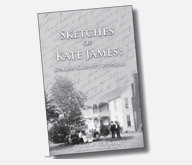 Edited by Michael R. Hayslip and published with support from The Summerlee Foundation, Sketches is available in both hard and soft cover editions. © 2012 The Garland Landmark Society, Inc. All rights reserved. No parts of this site may copied or reprinted without permission.